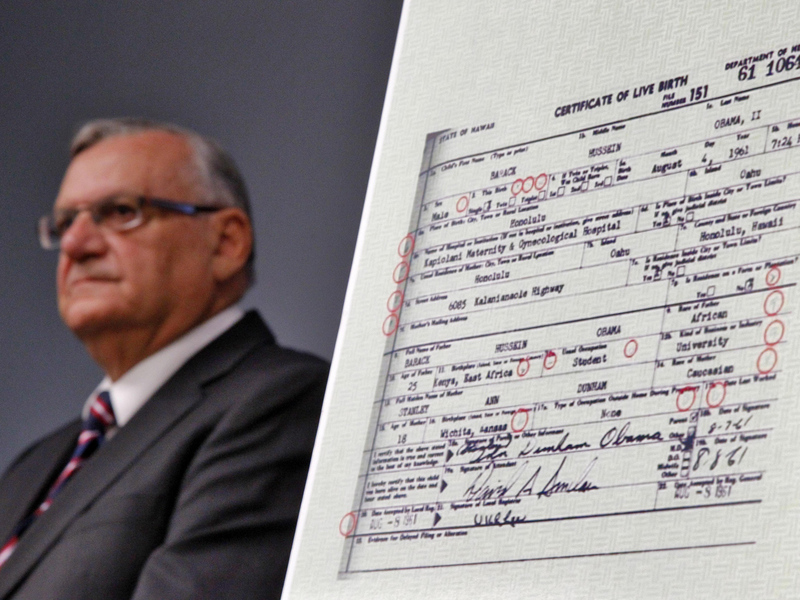 (CBS/AP) PHOENIX - Investigators for an Arizona sheriff's volunteer posse have declared that President Barack Obama's birth certificate is definitely fraudulent. Zullo said investigators previously didn't know the meaning of the codes until they were explained by a 95-year-old former state worker who signed the president's birth certificate. Zullo said a news reporter who has helped out in the probe let investigators listen in on an interview he conducted with the former state worker. "Considering the fact that Hawaii appears to be very lax in its distribution of birth certificates, it is possible, though certainly not proven, that President Obama, through the actions of others, may have benefited by the ease with which one can obtain a birth certificate proving U.S. citizenship," Zullo said, according to CBS affiliate KPHO in Phoenix. When asked by a KPHO reporter how anyone could believe the sheriff's findings, Arpaio shot back. "That's an insult," Arpaio said. "Look at the evidence and forget who's in bed with who. Talk about the evidence." Arpaio said his investigation has also found evidence that Obama's Selective Service registration form was fraudulent, KPHO reports. Hawaii officials have repeatedly confirmed Obama's citizenship.